The Beet-Eating Heeb was driving (in his Prius) to his day job one recent morning when NPR aired a startling report that described such bizarre bedfellows … Well, BEH feels fortunate he didn’t drift off the road and into a ditch, he was so stunned. What turned The Beet-Eating Heeb into a Head-Scratching Heeb, when he was supposed to have both hands on the wheel? Here goes: The Humane Society and United Egg Producers have joined forces to lobby together for a bill on Capitol Hill. Just to put this in perspective, it’s akin to Planned Parenthood and the Vatican forming an alliance. If you don’t find it shocking that the Humane Society and United Egg Producers are collaborating, it may be because egg producers don’t necessarily come first to mind when you’re thinking about the appalling practices of factory farming. 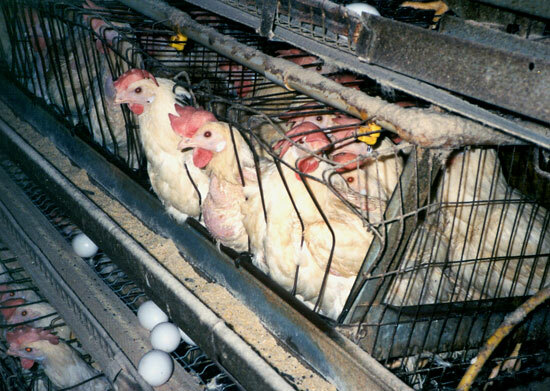 90% of America's egg-laying hens are crammed into tiny cages like these. The sordid truth is, when it comes to the sadistic treatment of animals, the egg industry ranks right down there with the cattle and poultry industries. America’s 280 million egg-laying hens are typically allotted a mere 67 square inches of space each. That’s a smaller surface area than a sheet of 8.5×11 copy paper. In such cruel confinement, the hens can barely move. Don’t get The Beet-Eating Heeb started. Anyway, United Egg Producers, the main industry lobbying group, has long defended these horrific practices, while the Humane Society, last time BEH checked, advocates for the humane treatment of animals. So why are Wayne Pacelle, a vegan and president of the Humane Society of the United States, and Gene Gregory, president of the United Egg Producers, strolling the halls of Congress together? NPR reports that they’re jointly advocating for a bill that would allow egg farmers to keep their cages, but require them to provide twice as much space, plus perches and “nest boxes.” The new regulations would be phased in over 15-18 years. Sixteen members of Congress have signed on to co-sponsor the bill, which has been sent to a subcommittee of the House Agriculture Committee. Is the Humane Society Doing the Right Thing? The Humane Society loves animals, so should we trust it that this compromise bill would significantly alleviate the suffering of egg-laying hens? Animal-welfare organizations are deeply divided on that question. Some are supporting the bill, while others are fiercely opposing it. The opposition within the animal-rights community has started a campaign called Stop the Rotten-Egg Bill. The Beet-Eating Heeb called fellow beet-eating Heeb Paul Shapiro for a response. 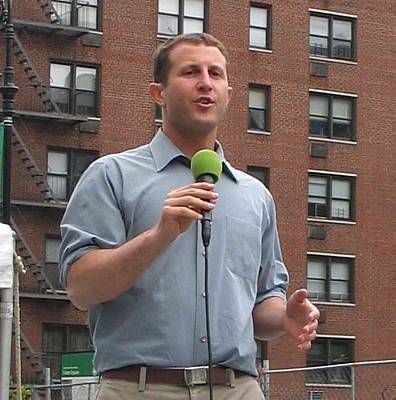 Shapiro is the Humane Society senior director of farm animal protection. He insists that their compromise with the egg producers offers the only realistic hope for hundreds of millions of hens. “What is the alternative?” he asked. While California voters approved a ballot measure to improve conditions for egg-laying hens, the other big egg-producing states – Pennsylvania included – do not allow ballot initiatives, Shapiro pointed out. And most state legislatures – and Congress itself, for that matter – are firmly in the grip of the factory-farming industry. Providing hens twice as much space, even if they would still be caged, is the best that can be achieved legislatively, he said. “You can’t ignore the fact of what the status quo is. Hundreds of millions of hens are cramped in cages where they can’t even spread their wings,” he said. Sadly, even the Humane Society-United Egg Producers compromise might not be realistic, in political terms. The uber-powerful beef and pork industries have directed their armies of lobbyists to kill the egg bill. While cows and pigs don’t lay eggs, factory-farm lobbyists won’t tolerate any bill that regulates how animals are treated. From their perspective, United Egg Producers has gone off the ranch. That quote speaks volumes about the mindset of the meat industry. The Humane Society is extreme? Oh, please. Need The Beet-Eating Heeb even say this? The Humane Society is the most mainstream, most moderate, most respected animal welfare organization in the United States. Nonetheless, despite the inanity of the beef and pork industries, they will in all likelihood succeed in killing the egg bill. “This is an uphill battle,” Shapiro conceded. 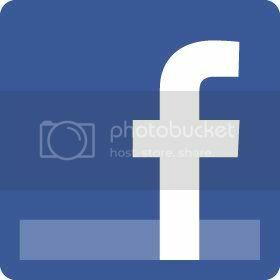 The Beet-Eating Heeb is highly curious to know what the readers of this blog think, so please don’t hesitate to post your comments below. One more thing: Don’t read this blog while driving. Posted on February 23, 2012, in Factory Farming / Animal Cruelty and tagged chickens, eggs, hens, Humane Society, United Egg Producers. Bookmark the permalink. 10 Comments. This bill would not lead to incremental reform over time–rather, it creates a ceiling: Cages would be codified at the national level, and cage-free laws (which the majority of the American public supports) would be stopped dead in their tracks. The egg industry is very clear about its motives here–it “saves cages,” as one UEP leader put it. The http://www.StopTheRottenEggBill.org website has further info on why this bill is, for those concerned about the welfare of laying hens, a very bad deal. From a kosher perspective free range eggs pose an issue because they frequently have blood in them and aren’t edible. I would buy free range but end up throwing half of them out! This bill can give people a false comfort in using animal products for food, but on the other hand, it can also be good for the chickens. Although I do not really have a clear opinion on this at the moment, I strongly support the Humane Society of the United States and their actions. Great post, thank you for educating me about this issue! As to your first point, incremental reforms in factory-farming practices are certainly a source of debate within the animal-welfare community. The Beet-Eating Heeb might explore that issue in a future post. This is a superbly written and illuminating overview the subject. Although I oppose the pending legislation, I found you non-polemical approach to be refreshing. Thanks Ed. The Beet-Eating Heeb encourages his readers to check out The Greanville Post’s “animal defenders” category. We in the Animal Rights/Vegan advocacy camp are giving Get Out Of Guilt Free cards to those who have even a modicum of consciousness about killing other beings for the pleasure of their palate. I’ve been buying eggs that are at least cage-free since seeing the Humane Society documentary “Eating Mercifully” several years ago. Most of the time I’m able to buy organic eggs from free-range chickens. Those of us who are aware of how most eggs are produced will continue to buy these products. I think the proposed legislation raises the standard for how the rest of the eggs, which most people purchase because they cost less and because they probably don’t know where they came from. This is a good, incremental step that will improve the lives of most hens without harming the better practices used elsewhere. Pingback: So What is This "Factory Farming"?